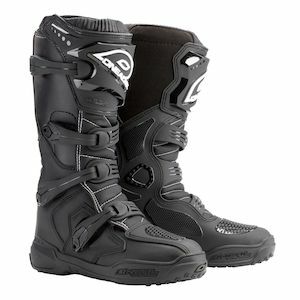 The army tanks of moto footwear, dirt bike riding boots are purpose-built to handle the rigors of off-road ventures by providing beefy levels of support and protection. 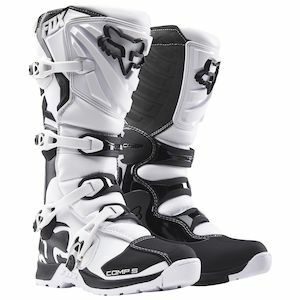 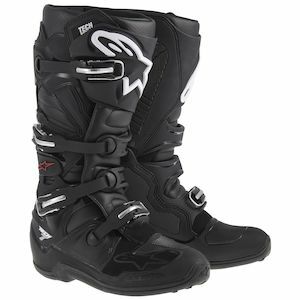 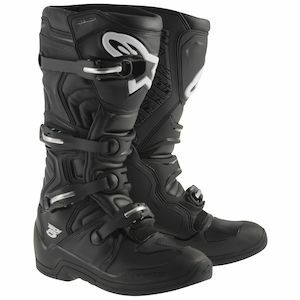 Typically much stiffer than other boots, motocross boots are full height, giving the rider protection from toe to tibia. 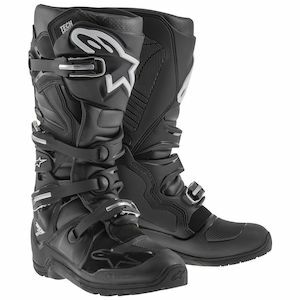 Buckles are built to take a beating and allowing easy access even when caked with mud and debris. 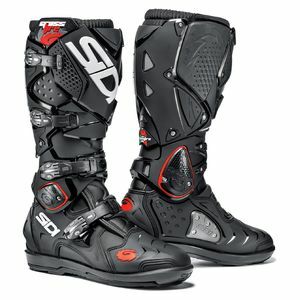 Since sliding is not really a concern in the dirt, protection is focused on ankle bracing and injuries that occur from impacts and sudden stops. 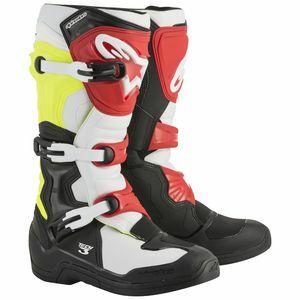 Shin plates and reinforced toe boxes protect riders from pegs, branches, kick starters and other hazards common to MX bikes. 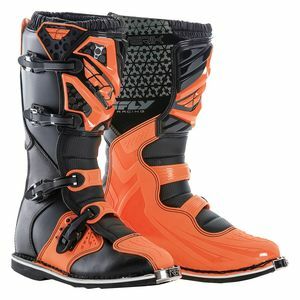 Robust ankle protection secures the rider’s foot, preventing torsion as well as impact related injuries. 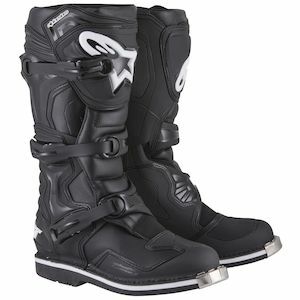 Soles are designed specifically to interface with the serrated pegs of off-road bikes while leather or rubber panels on the inside of the boots guard against exhaust burns and give you better grip on the bike when standing up.